Parkerson, Christopher B. – Campbell Conroy & O'Neil, P.C. Christopher Parkerson is a Member of Campbell Conroy & O’Neil, P.C and serves on its Board of Directors. 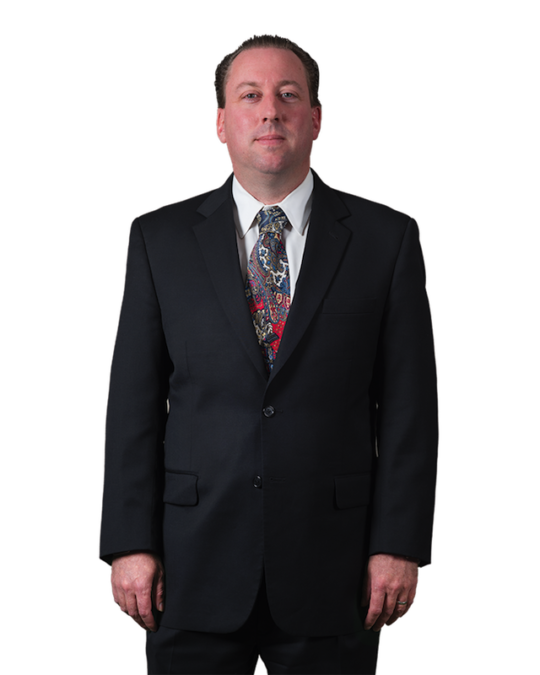 He has extensive trial experience in many states defending national and international corporations in product liability, commercial, intellectual property disputes, and large personal injury cases. Christopher’s jury trial experience, combined with his work ethic and approach to the lawyer-client relationship assists him in advising clients on important issues including trial strategy and preparation. Christopher received his undergraduate degree in International Studies, focusing on the Chinese and Japanese political systems from Rhodes College in Memphis, TN. During Christopher’s time at Rhodes, he was on the Dean’s List, a letterman on the varsity football team and was involved in various leadership positions on campus. Christopher attended law school at the University of Arkansas in Fayetteville, AR where he was on the Dean’s List, Moot Court and a representative on the Student Bar Association. Christopher also attended the University of Alabama Birmingham where he obtained an MBA. After law school, Christopher joined his father’s law firm in Hot Springs, Arkansas. He later joined a firm in Birmingham, Alabama, where he focused his practice on litigation and white-collar criminal defense, participating in many large-scale and high-profile cases and trials, including the defense of two sitting governors, a sitting sheriff, stock brokers, doctors, lawyers and CEOs. Christopher was an adjunct professor at Miles School of Law in Birmingham and a contributing author to the ADDENDUM. After the death of his firm’s founder, David Cromwell Johnson, Christopher opened his own litigation practice and continued to concentrate on trial work. Christopher was a frequent commentator on radio and television in Birmingham. National Judicial College in Reno, Nevada, and sponsored by the American Bar Association’s Tort Trial & Insurance Practice Section (TIPS) and the American Board of Trial Advocates (ABOTA). Christopher served as a faculty member of the International Association of Defense Counsel’s 2014 Trial Academy at Stanford Law School. He is also a frequent speaker and author on issues such as trial advocacy, class actions, product liability and civil procedure. Christopher is a founding member and past-president of the Downtown Boston Rotary Club. Christopher is married to Kimberly Parkerson. Christopher, Kimberly and their three daughters live in West Roxbury, MA. Sachs v. Sears Roebuck & Co.
New England Wine v. A.V. Imports, Inc.
Christopher Parkerson was a panel member discussing mock juries and other jury research tools and their use by defense counsel. Christopher Parkerson presented “Defending Class Actions: A Game Plan for Success” at the 2015 Arkansas Association of Defense Counsel Annual Meeting in Bentonville, Arkansas. Christopher B. Parkerson was a state panel member for Norfolk Superior Court Bench-Bar Committee Presentation on Voir Dire. Christopher conducted a model void dire for attorneys and judges to assist in demonstrating the skill for MA lawyers. Christopher Parkerson moderated a panel at the International Association of Defense Counsel- Corporate Counsel College consisting of experts in the field of criminal investigations/prosecutions related to product recalls and product liability claims. 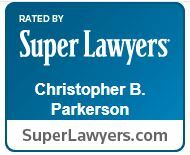 Based upon Christopher Parkerson experience trying cases outside of Massachusetts Christopher was selected to demonstrate a model defense voir dire for Massachusetts lawyers and judges seeking knowledge regarding the new Massachusetts rules on attorney-conducted voir dire at the Massachusetts Bar Association. Christopher Parkerson was a faculty member at the IADC Trial Academy held at Stanford University School of Law. As a faculty member he mentored young lawyers on trial advocacy skills and also participated in the faculty trial demonstration by delivering the plaintiff’s closing arguments. Christopher Parkerson moderated a panel of experts in the field of defending RICO claims. Christopher B. Parkerson, a Member of the firm spoke at the International Association of Defense Counsel Midyear Meeting on Tuesday, February 13th regarding outside the box thinking in jury trials. Mr. Parkerson has extensive trial experience in many states defending national and international corporations in product liability, commercial, professional responsibility and large personal injury cases….